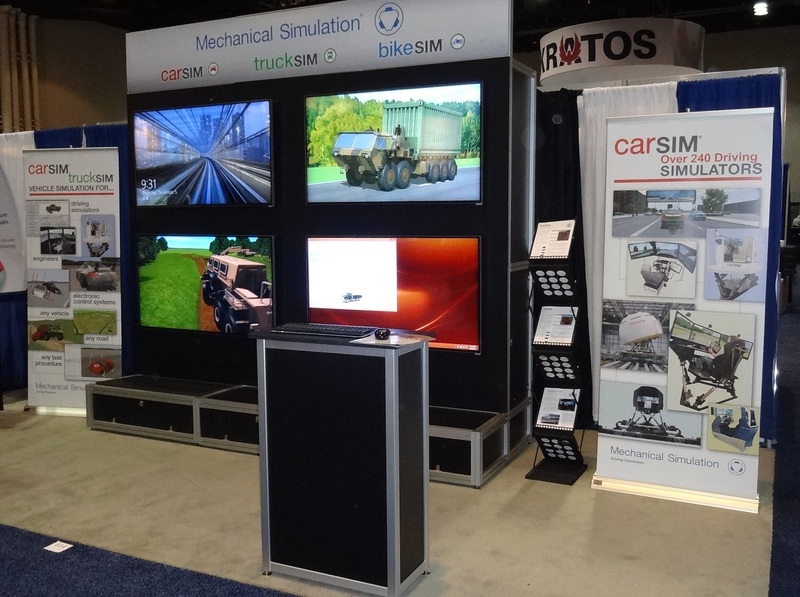 As the industry leader in vehicle dynamics simulation software, you can find us at major industry trade shows and conferences worldwide. Be sure to look for our exhibits, technical experts, and presenters at an event near you. At these events, you will have the opportunity to discover the latest product enhancements, network with your peers, and learn how other companies are using our software and systems to deliver the right product to market faster. 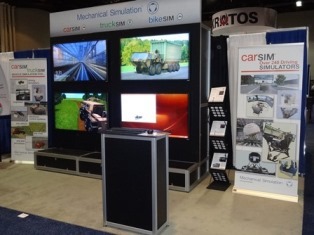 Image of the Mechanical Simulation booth. Click for full size image.